LiveFm’s Entertainment News anchor, Vanessa Gyan has paid tribute to her late dad Kiki Gyan of Osibisa fame. 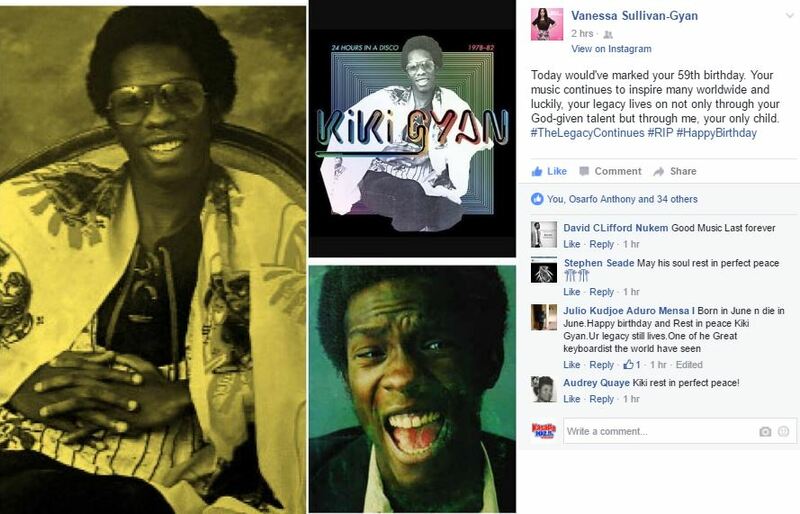 Vanessa being the only child of Kiki Gyan posted on her facebook page to express how his late father’s talent inspired many. She dishes the latest in entertainment news, and all you need to know about your favourite celebrities in Ghana and across the world. Vanessa worked in the United States of America, covering events for VH1, MTV and BET. She’s interviewed a number of industry personalities including Boyz II Men, super-producer Swizz Beatz and Grammy Award-winner Melanie Fiona. She relocated to Ghana in 2013.